Having grown its network at a rapid pace of nearly 50% a year, over the last 5 years, Mahindra First Choice Wheels Ltd (MFCWL) plans to double its network over the next 12 months to 1500 outlets. The plans for the year were conveyed during the inauguration of its 735th dealership in the country here in Bangalore today. The new outlet, Car Bazaar, is spread across 8000 sq. ft and is located at Kamanahalli Circle, Kalyan Nagar, Outer Ring Road, Bangalore-13. It was inaugurated by Rajeev Dubey, Group President (HR & Corporate Services) and CEO (After-Market Sector), Member of the Group Executive Board, Mahindra & Mahindra Ltd. in the presence of Nagendra Palle (MD and CEO – MFCWL) and Tarun Nagar (VP-Retail, MFCWL). “Mahindra First Choice Wheels continues its endeavour of building a brick & click model for the used car industry. With 735 franchisee outlets, we lead the multi-brand used vehicle space. Last year we also auctioned used vehicles online from over 1,000 different locations making us the largest online wholesale network in the country. We believe this comprehensive approach of using our physical network in conjunction with our online channels will help us build a long term sustainable business while organizing a largely unorganized used vehicle industry in India,” said Dubey at the inauguration. 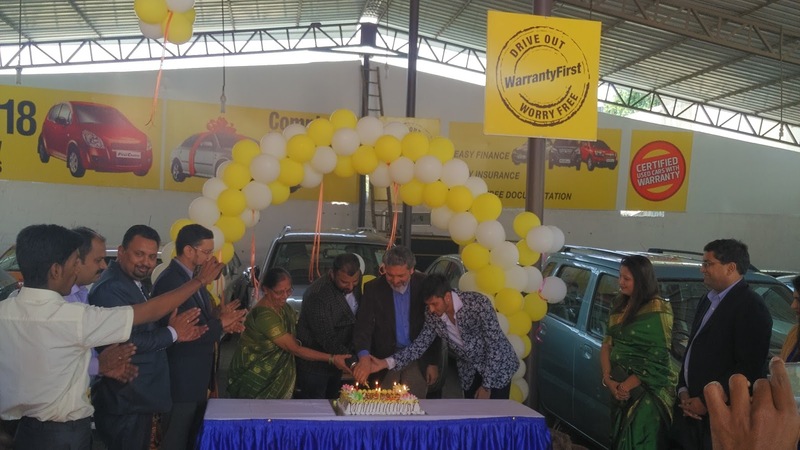 “We are delighted to expand our rapidly growing network in Karnataka with the inauguration of this new dealership in Kalyan Nagar. South India is a strategic market for Mahindra First Choice Wheels and we look forward to creating value for all our stakeholders across the value chain through innovative and industry-first products and services. Our strong franchisee network will play an important role in helping us to fulfill this goal,” said Nagi Palle at the inauguration. “In the two decades since India’s economy was liberalised, perhaps no other industry has seen as many tectonic shifts as the automotive industry. From just two models in the early 90’s there are several hundred makes and brands available today, all competing for the attention and hard earned rupee of the Indian car buyer. However, like most things, buyers’ aspirations are higher than their purchasing power, which is where used vehicles come into the picture. They make eminent sense as they help bridge the gap between rising aspirations and limited spending power, allowing a buyer to potentially get a bigger, better equipped used car for the same price as perhaps a smaller new car. Used cars provide every consumer segment with choices. They enable consumers to either upgrade brands (mass market to luxury) or allow a family to purchase their FIRST car which is for most, ‘a dream come true” said Santhosh and Poornesh,Directors, Car Bazaar. From its humble beginnings in 2007 when its first franchisee outlet was established, MFCWL embarked on a strategy of building the used vehicle eco system in the country by connecting the retail and wholesale side of the business through investments made in the creation of it’s physical and online assets. The products and services extended through its “On the ground” and “In the cloud” hybrid business model powered more than half a million used vehicle transactions in F-16. The company’s unique business model has received a thumbs up from external investors. In the last 12 months the company raised funding from Silicon Valley based Hedge Fund, Valiant Capital and Cox Automotive a $17 Billion US based enterprise providing digital marketing, classifieds, software, wholesale and eCommerce solutions to dealers, consumers, manufacturers and financial institutions. 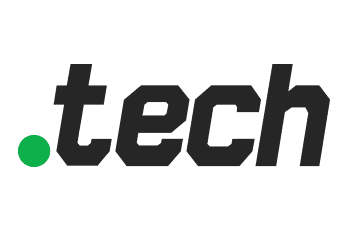 Its brands include Manheim, Autotrader, Kelley Blue Book, Dealertrack, vAuto, Xtime. 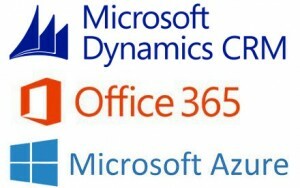 Microsoft has announced the availability of Dynamics CRM Online services from its local datacenter regions in India. Microsoft Dynamics CRM Online, a leading customer relationship management solution, is equipped with built-in capabilities such as social listening, enterprise-grade security, privacy and compliance. These features enable companies to deliver personalized and predictive customer experiences across their sales, marketing and services efforts. With this, Microsoft is equipped to provide the most complete suite of cloud services for customers across government, businesses and individuals in the country. With Microsoft Azure and Office 365, already made available effective late 2015, this addition completes Microsoft’s cloud portfolio. 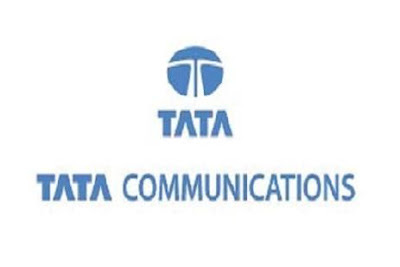 “We are the first1 hyper-scale global cloud provider to offer cloud services from local datacenters in India. With a complete portfolio of cloud services - Microsoft Azure, Office 365, and now Dynamics CRM Online, we will continue to lead the market by offering ‘cloud-on-your-terms’. In the first six months of our local cloud launch, we have seen 50 of top 100 companies2 listed on the BSE, adopt Microsoft cloud to drive their digital transformation,” said Bhaskar Pramanik, Chairman, Microsoft India. Microsoft cloud has seen increased adoption in sectors such as financial services, government, healthcare and e-commerce. 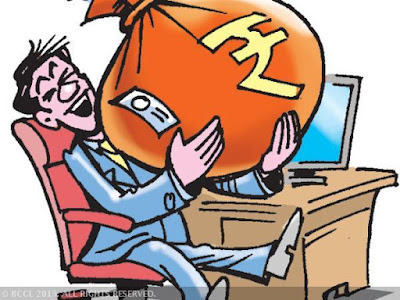 Top financial services organizations such as HDFC, ICICI Lombard, IDFC, and Kotak Mahindra Bank; large IT players like Wipro, Infosys, and TCL, and a majority of Indian healthcare providers including Fortis Healthcare, Apollo Hospitals, AIIMS, L V Prasad Eye Institute (LVPEI), and Narayana Health, have adopted Microsoft cloud. New generation ecommerce players and start-ups like Snapdeal, PayTM, Justdial, Meru cabs, etc., are also leveraging the power of Microsoft cloud to spur their growth momentum and connect better with customers. With open and flexible platform and productivity solutions, the Microsoft cloud is designed to fuel innovation and accelerate India’s digital transformation. 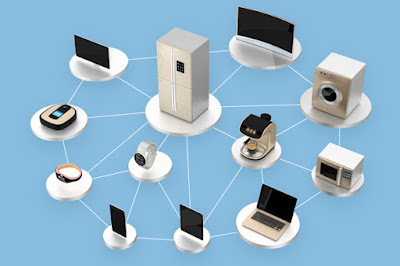 Businesses are now able to adopt new scenarios and leverage optimum potential of Machine Leaning (ML), Advanced Analytics, and Internet of Things (IoT) to solve everyday business problems. Education and public service departments, across Indian states are adopting cloud services. The cloud offers new business avenues for developers, IT professionals and gives Microsoft India’s partner ecosystem, comprising hosters, independent software vendors (ISVs), system integrators (SIs) and others, the opportunity to adopt newer business models. SINE- Society for Innovation and Entrepreneurship - the technology business incubator hosted by IIT Bombay, has just celebrated 12 years of its existence. 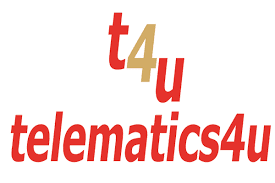 What started as an IT incubation pilot project was formally set up as a non-profit society on April, 15, 2004, to incubate start-ups in all technology domains to address the lack of an entrepreneurial ecosystem. Today, IIT Bombay has a number of entrepreneurship -related initiatives, such as the DS Centre for Entrepreneurship, which offers formal academic courses; eCell- a student-led centre, and several RandD centres aimed at translational research. All these together with start-ups, entrepreneurs, investors, service experts outside the campus, rapidly are merging into what is being established as the “Powai Valley”. And SINE has today grown into a leading academic-linked incubator in India. 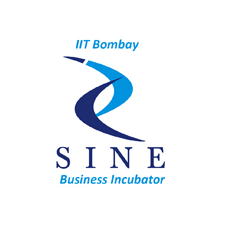 SINE has been the launch pad for over 80 product-based entrepreneurial ventures out of IIT-Bombay since its inception. More than half have graduated from incubation after becoming revenue-generating companies, several got acquired by larger companies, and some have also failed. Many have raised one or more round of funding, offering exit opportunity to SINE’s equity stakes in the companies. SINE currently incubates 27 start-ups, and more are in its pipeline. Current start-ups are in varied areas such as fin-tech, med-tech, clean-tech, big data, security, media. 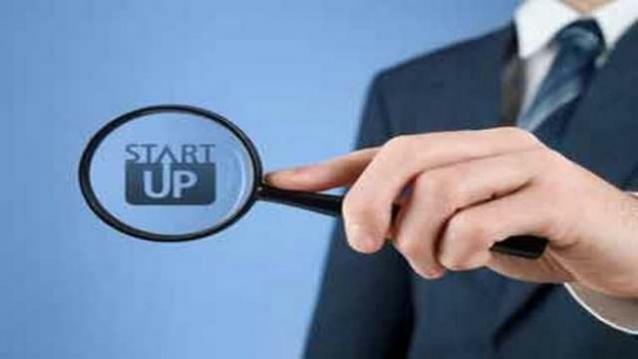 Entrepreneurship environment for technology product based start-ups is still far from being mature in India. To address this gap, SINE has focused on product and intellectual property- based technology start-ups. Out of the total start-ups incubated so far, 25 companies are direct spin-offs of IIT Bombay technologies, and 6 are focused on social innovation via technology. 22 are founded or closely mentored by IIT-B faculty. Nearly half of its companies have been able to raise multiple round of funding, several have crossed valuation in multiple of 100 cr., and few have achieved or close to achieving revenue of Rs.100 cr. Sharing her sentiments at the anniversary celebration, Poyni Bhatt, COO, SINE says, "the entrepreneurship initiative started in early 2000 with SINE at IIT Bombay, has now become mainstream not only within the campus, but also influenced the environment around in Powai, Mumbai. The entrepreneurial risk appetite amongst students and faculty-interest in technology commercialization via start-ups have exponentially increased over the years. " SINE offers incubation support for up to 3 years. Incubated companies get workspace, seed support, easy access to IIT Bombay labs, technical and IP resources, business planning and mentoring, and expert services on softer terms. Association with the incubator also brings visibility and credibility for the startups, because of the due diligence and validation that happens prior to admission. SINE also offers prototype support to students in terms of money as also setting the first tinkerer’s lab at IIT Bombay. The incubator is set to expand the depth and width of its activities. It aims to form partnerships with corporate entities as institutional mentors and financiers under their CSR initiatives. Plans are underway to enhance its capacity to house 50 plus start ups, and set up domain specific programmes in sectors such as bio/med tech and hardware products. 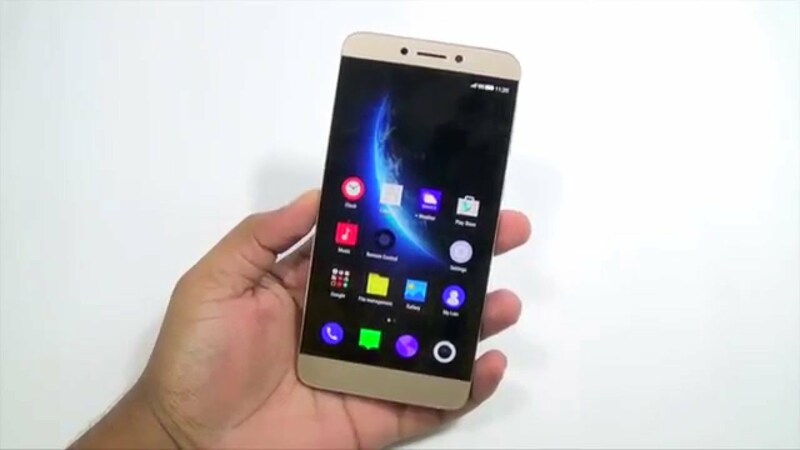 LeEco’s first Made for India phone, the Le 1s (Eco), has made waves in the industry by launching a device at remarkably attractive price of Rs. 9999. The global internet and technology conglomerate announced its Blockbuster Superphone yesterday at a grand launch event in Mumbai, showcasing its unique content integration model and features LeVidi and Live that will give users access to a plethora of entertainment content anytime anywhere! The Blockbuster Superphone is a power-packed performer and the first device to showcase the integrated content one-stop experience coupled with breakthrough technology. The Le 1s Eco is the first “Made for India” Superphone by the company, showcasing its unique ecosystem and first of its kind in the Sub-10,000 category packed with powerful features. Bringing alive company’s content integration with partners Eros Now, Yupp TV and Hungama, Le1s Eco packs seamless interface through unique functions -Le Vidi and Live, which allows users to consume high quality content to user on-the-go! “We are extremely overwhelmed with the response that we have received for our blockbuster Superphone – Le 1s Eco. We were confident that our “Made for India” Superphone will strike an instant chord with our Indian customers, given its great features coupled with the best-in-class content library. We understand that entertainment plays a critical role in the lives of people and therefore remain committed to bringing blockbuster content to them wherever they want, whenever they want. At LeEco, it is our constant endeavour to offer users breakthrough technology and innovative features such as our content integration at a sustainable price, ensuring users get a true value product”, said Mr. Atul Jain, COO, Le Ecosystem Technology India Pvt. Ltd. Equipped with a 5.5” inch (403 ppi) screen of 1080x1920 resolution display, the device delivers an ideal balance of performance, battery life and graphics to users. With slick dimensions, the device is easy to hold and light to carry. It runs on the latest Android 5.0 eUI and packs a powerful Helio X10 MediaTek Processor, 1.8 GHz with a 3 GB of RAM, enabling uninterrupted video streaming; offering powerful multitasking and a rich multi-media experience. The 13 MP rear camera and 5 MP front camera ensure quality pictures and great video capability. The device also sports a powerful 3000 mAh lithium polymer battery for on the go usage. Designed for both work and entertainment, the device is the optimal device for viewing videos, playing enhanced games, and reading e-books anytime, anywhere. Supertainment package which is otherwise also priced at Rs 10,899, including Le 1s Eco for Rs 9,999 and a one-year membership fee of Rs 4,900, and a LeEco offer of Rs 4,000 is undoubtedly a killer deal any smartphone brand could have offered to its consumers. As a part of this blockbuster deal, not only the consumers get the Superphone with features like no other but also the wide range of entertainment content anytime anywhere. The LeEco advantage for consumers with the company’s best- in- class after-sales set up is unparalleled. 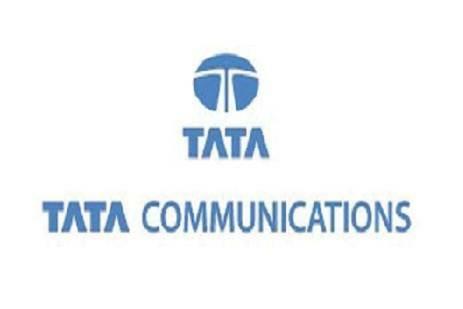 The company has already announced 555 service centres across prominent locations pan-India and 24*7 toll-free call centre support. 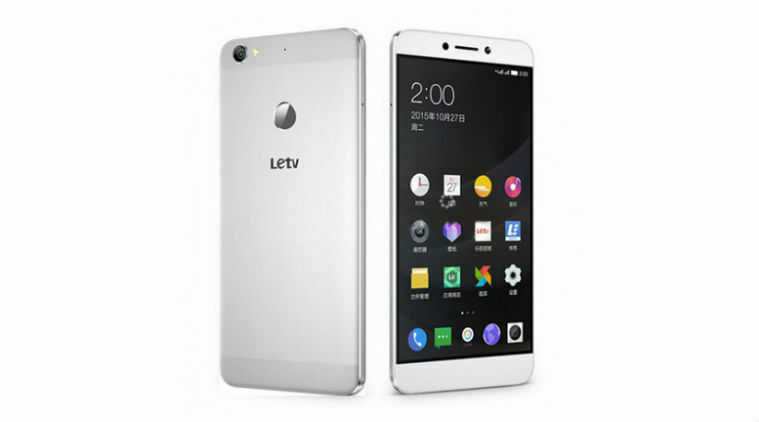 LeEco entered the India market with the launch of its Superphones in early 2016 - the Le 1s and the Le Max. The devices which are exclusively available on Flipkart, have truly disrupted the market with their best in class specifications at democratized pricing. 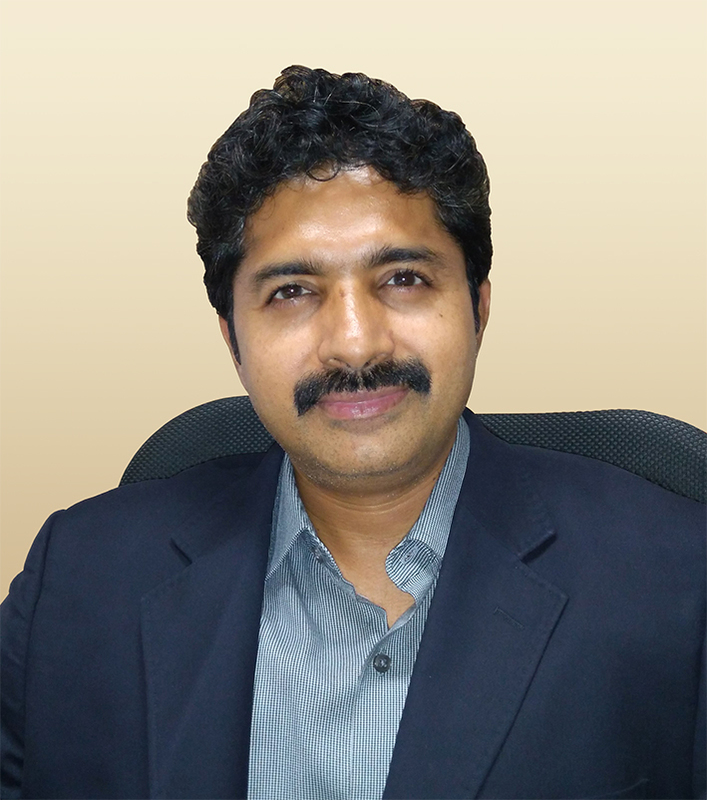 Manipal Health Enterprises Private Limited ( MHPEL) has announced the appointment of Sameer Aggarwal as the new Chief Financial officer (CFO) . In his new role, Aggarwal will head the finance team to ensure smooth and efficient functioning of the finance department by providing an array of services to the business right from financial planning and analysis, treasury, tax and other finance operations. Having over 19 years of rich experience in strategic and operation finance across pricing, taxation, corporate accounting, and treasury and investor relations he is all set to take on the role of CFO with great zeal . He will be donning several hats to drive major financial goals. His key focus would be to align business and finance strategy, to ensure growth of the business by taking up new business initiatives like improved enterprises cost optimization, pricing execution and other fiscal process improvements and innovations that add value to the organization. Additionally, he would also focus on compliance with financial regulations with a clear purpose of ensuring positive and continuous growth curve. Aggarwal has diverse experience across organizations like Marico, Coke, Ingersoll-Rand and Wipro. In his previous organization at 3M he was responsible for overall finance function and in order to drive governance and compliance. In view of the new appointment, Ramoji the current Chief Financial Officer and Company Secretary will be moving to Manipal Education and Medical Group (MEMG) to head a senior role. Companies are always trying to find the best way to store data in a meaningful format so that they can make better business decisions. Since the birth of data warehousing almost 30 years ago, numerous innovations in data management have been made - such as Hadoop and NoSQL. SAP has contributed High-Performance Analytic Appliance (HANA), a platform for processing high volumes of operational and transactional data in real time. According to experts, SAP HANA has established itself as a baseline for further innovation. SAP HANA is about 350 times faster than other conventional ERP technology. It is also known to provide the best user experience in the world. However, there are a few challenges while migrating /from other platforms to SAP HANA which are related to differences in file formats, structure, concept etc. 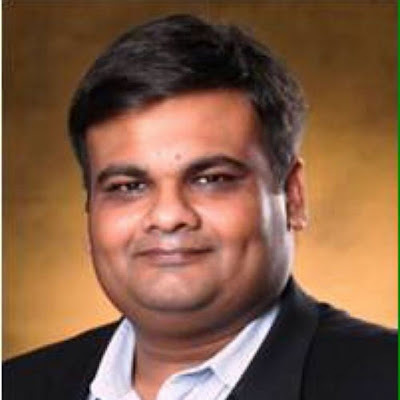 In this regard, Arun Kumar VC, Senior General Manager - Enterprise Solutions, HTC Global Services shares insights on developments and challenges faced by companies while adopting SAP HANA. Excerpts of the interview. How is HTC Involved with SAP HANA? 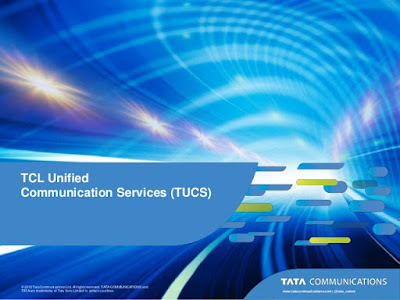 HTC is a successful SAP Partner currently providing strategic consulting, evaluation, implementation and on-going optimization of SAP solutions to organizations across the globe. HTC will help SAP customers design, implement and integrate solutions, optimize business processes, and provide strategic business consultation. Many companies have been working with DBMS over the years, while ERP evolved later. What will companies do with the existing system? How is the migration going to take place? Evolution of technology has always been embraced by organizations and has proved to be the most decisive factor in introducing innovations in businesses. SAP HANA is an innovative next generation business platform that combines the strengths of evolution in hardware and software technologies. The accumulation of massive amounts of data and the requirement to promptly process it in real-time makes SAP HANA the one stop solution. SAP HANA leverages in-memory platform, combines ACID compliant database with advanced data processing, application services, and flexible data integration services. SAP HANA has the ability to process structured and unstructured data in real-time and enables reporting without latency. SAP HANA delivers high volume transactional processing (OLTP) and high volume real-time analytical processes (OLAP) based on a unified data model without the redundant data layers typically required by traditional RDBMS based systems. Existing systems can be seamlessly migrated to SAP HANA with the help of multiple SAP migration tools. What are some of the main challenges in migration of existing DBMS customers? 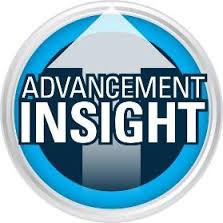 Challenges can be overcome by fixing the budget, having a well-defined business case based on existing and new landscapes, proper planning for optimizing sizing and infrastructure with SAP authorized hardware vendors, resolving the on premise / cloud (private / public cloud) muddle based on security strategy, performance, accessibility factors, migration strategy (old / new methods) depending on prerequisite check on the existing landscape, managing downtime for ensuring business continuity, custom code optimization to enhance performance, etc. How is the migration going to take place in traditional companies and PSUs? Size doesn’t matter – and an apt example to highlight would be that of the Indian Railways, which is one of the world’s largest rail network, is all set to be powered by SAP HANA - On an average Indian Railways sells close to 21 million tickets daily. The capabilities of SAP HANA will be utilized to make life simple and easy for the railway employees as well as passengers by bringing in reforms in the Ticketing System. 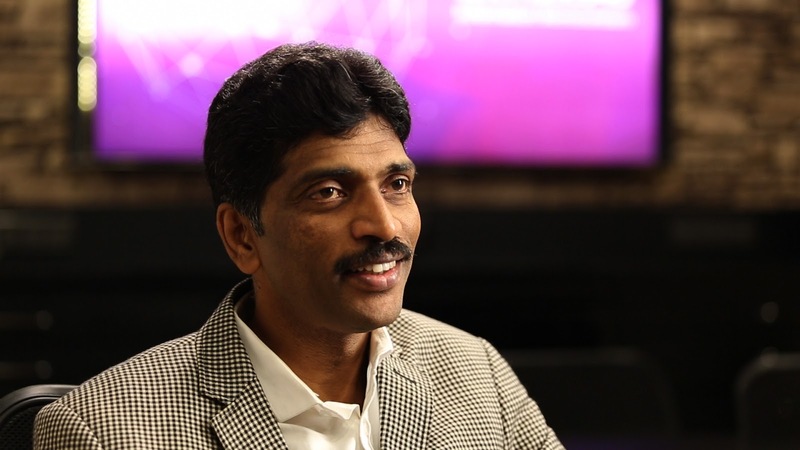 HANA’s capability to process large volumes of data in real time, has made it to be the game changer for all organizations, irrespective of their size and type. Saas in Cloud platforms are based on the concept of pay for the usage, how is Saas licensing going to impact the customers on the pricing side? SAP has been traditionally an on premise based ERP. With the evolution of S/4 HANA, SAP has widened its reach into the cloud platforms with both private and public cloud offerings. The pricing model is subscription based and corresponds to the different versions such as – SAP S/4 HANA, public cloud enterprise edition – SAP S/4 HANA, public cloud professional services edition – SAP S/4 HANA public cloud marketing edition. Often, the pricing for SAP solutions (especially in the on premise world) is calculated on the basis of the number of named users. Pricing metrics for SAP’s cloud offerings have often been based on other factors, some of them being – customer’s corporate group’s revenue, number of expense reports processed per year by customer, etc. Companies are not open to sharing data with a third party organization, What is SAP HANA going to do to overcome this security challenge? With the onset of SAP HANA, SAP ERP underwent innovations and transformed into SAP S/4 HANA. Customers can choose from various deployment options– On Premise, Cloud or Hybrid. This would be in line with the customers’ security compliance requirements. In addition to the security provisions in the SAP ERP, SAP HANA provides various security functions such as – User Management, Authentication and Single Sign-on, Authorization Framework, Audit Logging, Communication Channel Encryption, Data Encryption and so on. 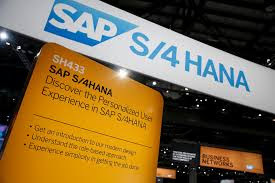 Also, S/4 HANA Private Cloud is designed for customers who are looking for increased security and privacy and who do not want to share a database container with other customers.